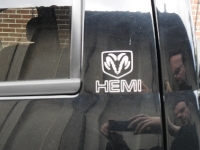 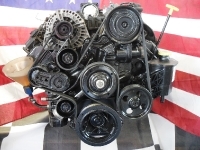 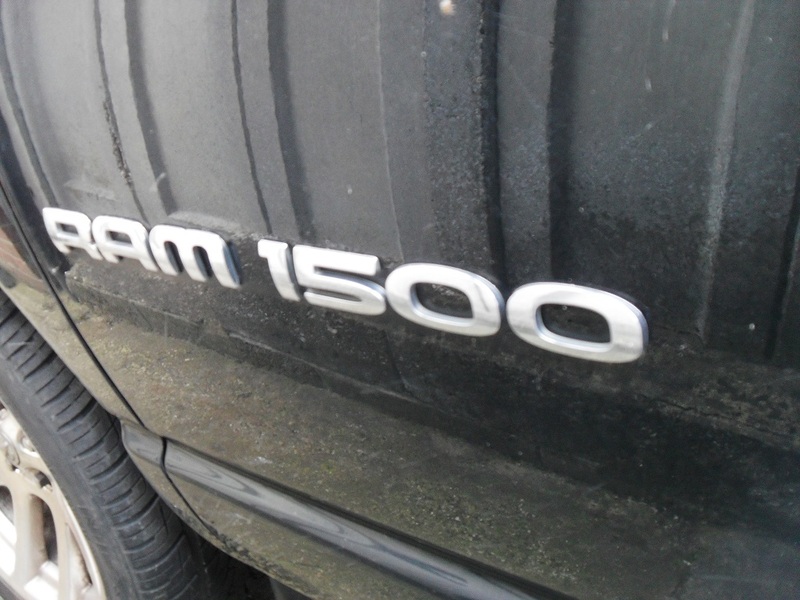 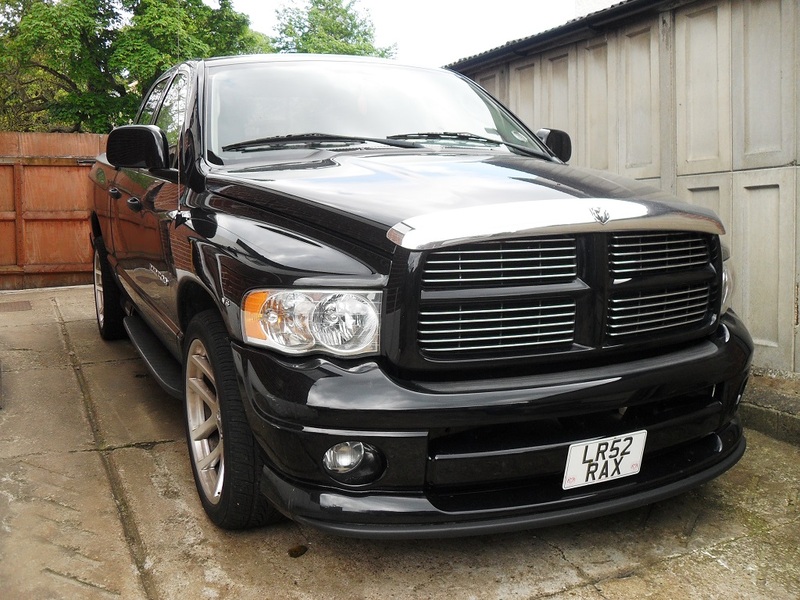 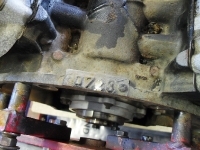 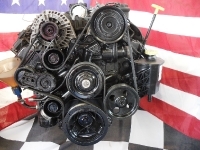 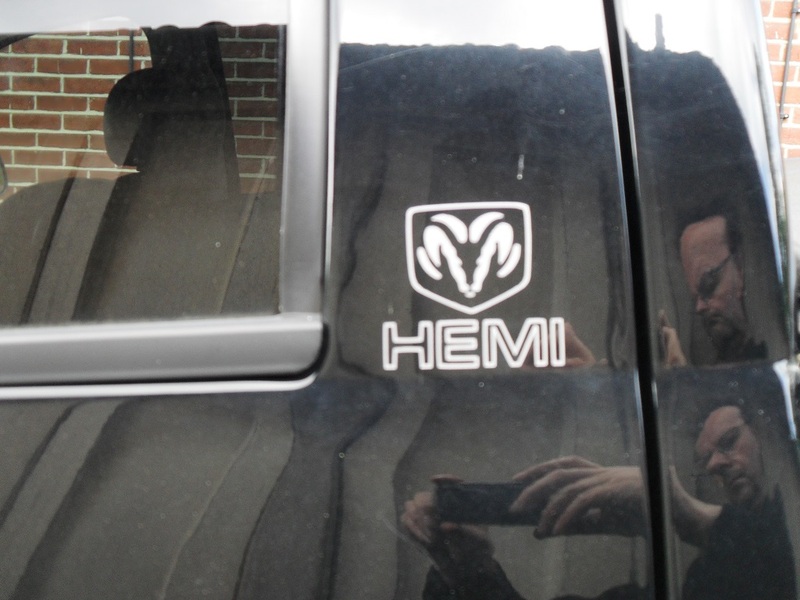 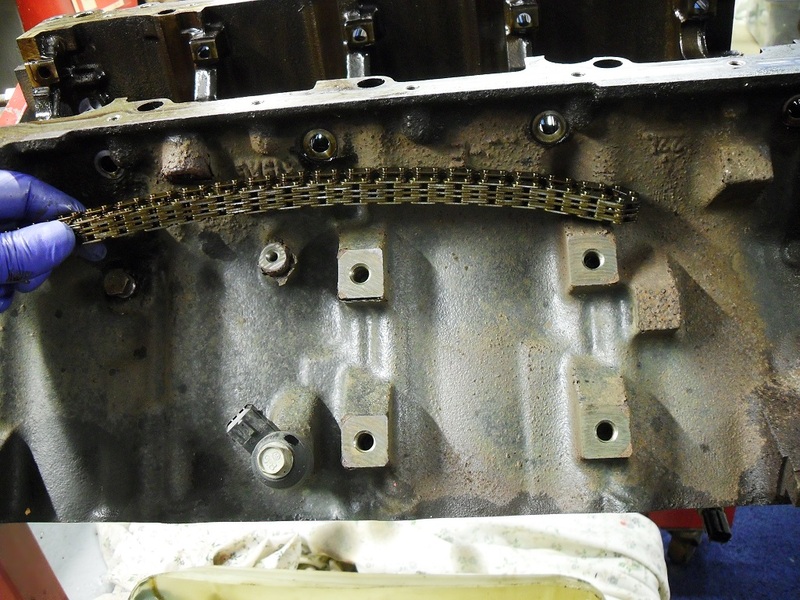 Another Dodge Ram Hemi in for a rebuild due to a knocking from the bottom end, the crankshaft and rods certainly appear to be a weak spot on these pick ups. 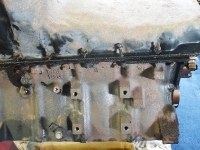 We removed the engine and put it onto an engine stand, as we strip it we check and evaluate as we go. 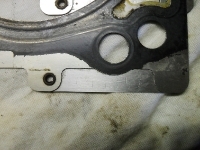 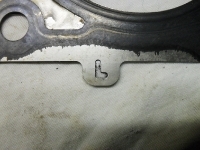 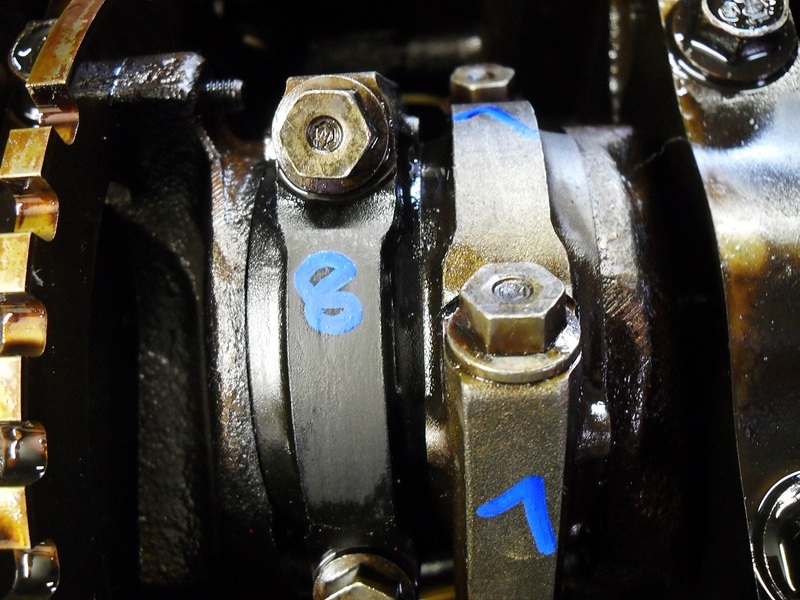 Number 7 con rod had spun the bearing which had scored the crankshaft, the Hemi crank can be ground but the amount you can cut is very limited unlike a more normal crank. 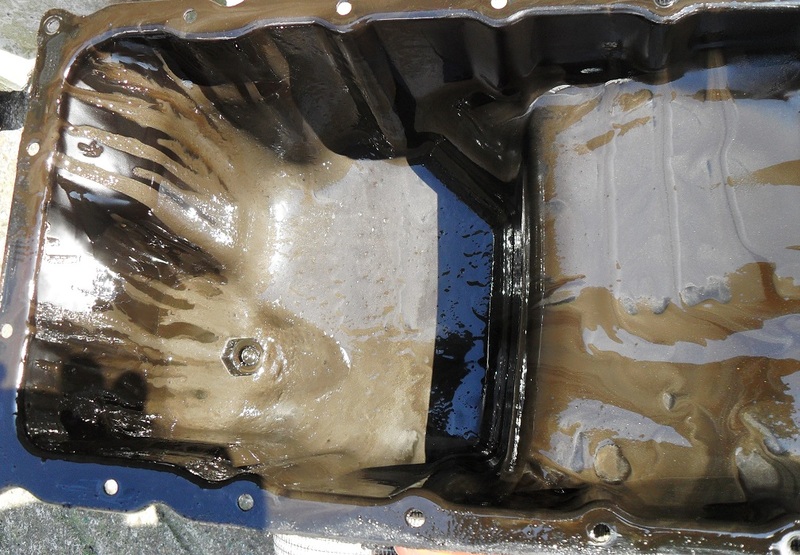 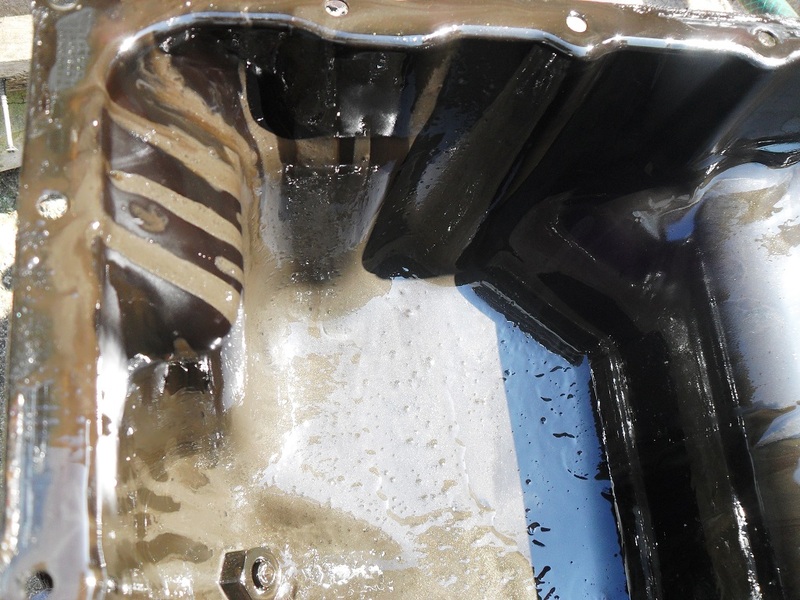 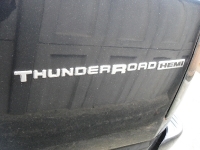 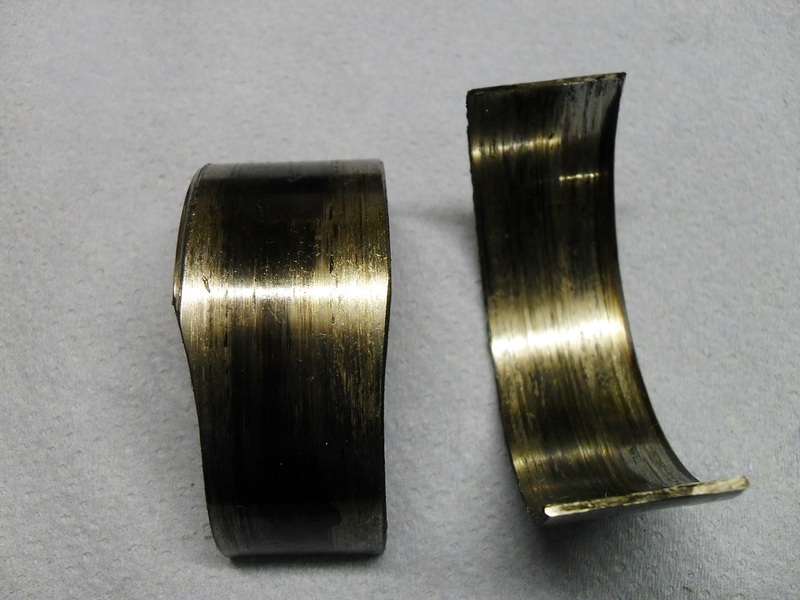 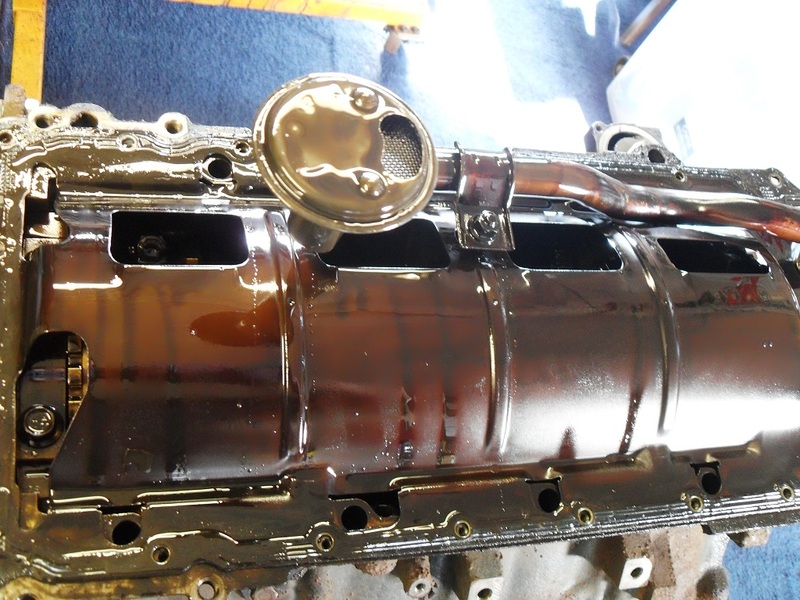 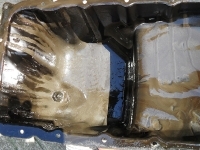 We found metal particles in the oil pan and also in the crankshaft oil ways were large chunks of con rod bearing. 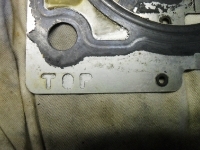 See photograph. 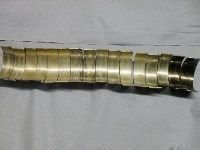 The con rods cannot be resized in the normal manner as they are made from powdered metal and the parting line is ‘cracked’ so cannot be refaced. 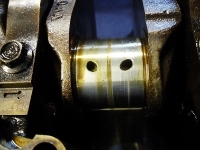 The only way to use them if you’re lucky is to hone the con rod housing out by 2 thou’ and buy bearings that are 2 thou’ fatter on the back as well as the oversize on the front for the crank grind. 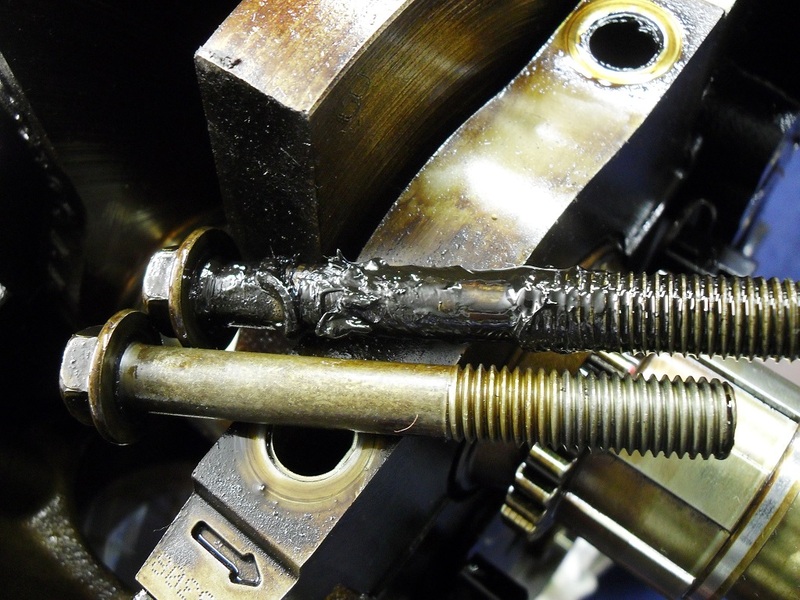 If the con rod is damaged beyond 2 thou’ then you have to buy a new rod which comes with a piston attached. 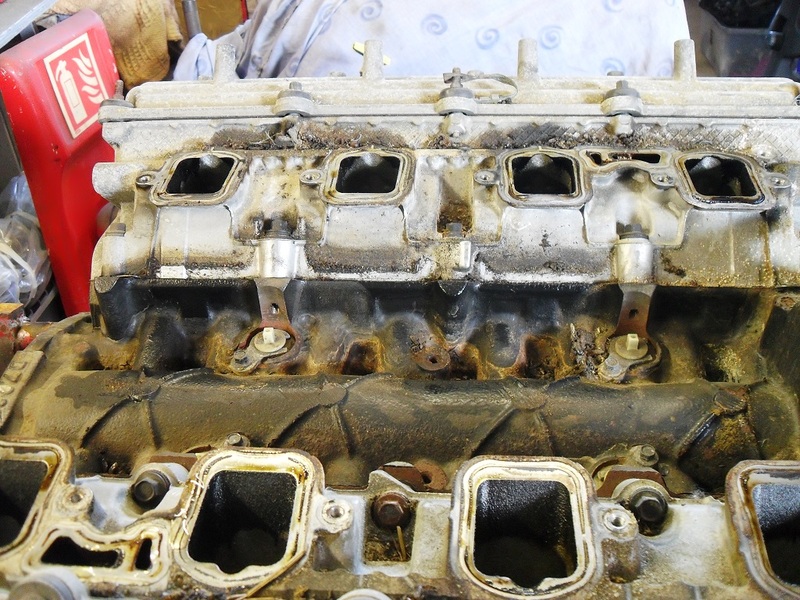 We stripped this engine completely, all of the core plugs and oil gallery plugs were removed and the block was cleaned and hot tanked. 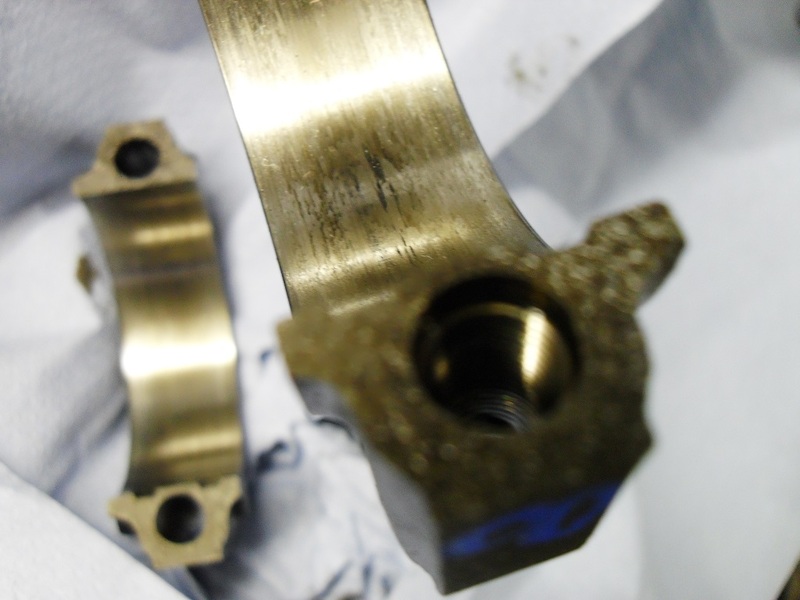 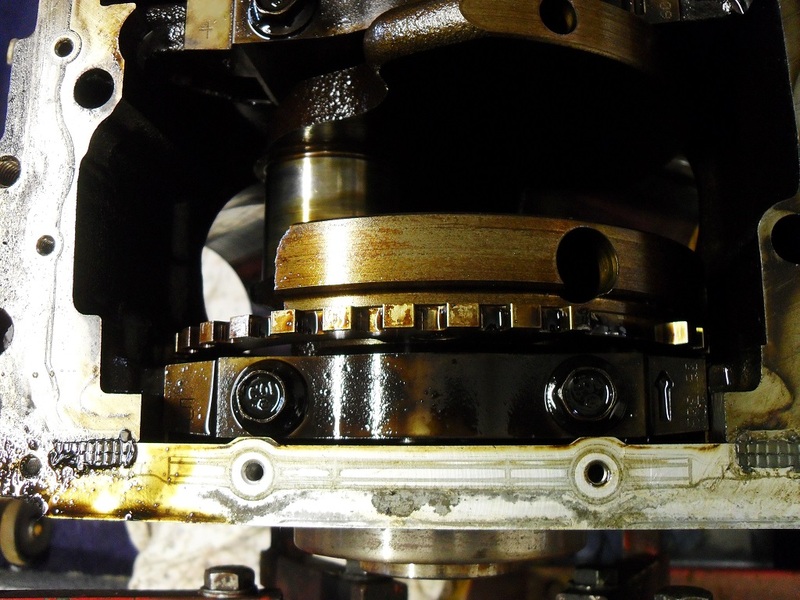 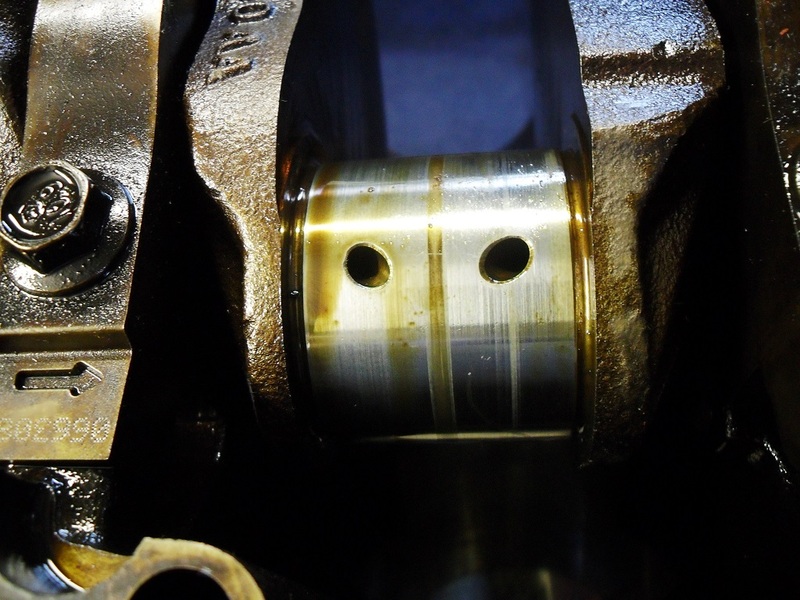 The crank was ground to the maximum 1/2 mil’ on the rod journals and the mains were left at standard, all journals were micro polished and the oil ways chamfered. 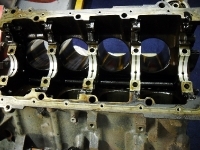 All of the rods were fitted with new rod bolts and checked for size, we used 2 thou fatter bearings, the housings were honed to the bearing size we specified. 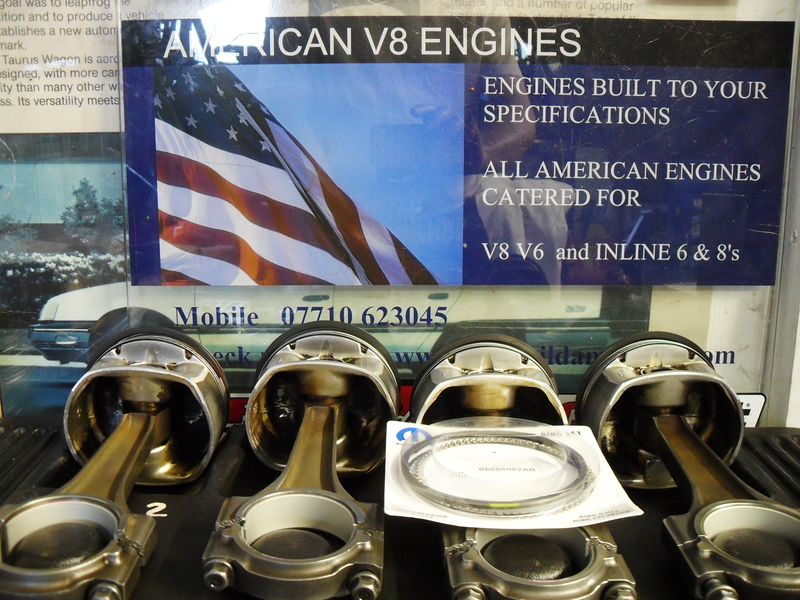 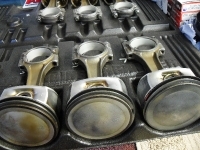 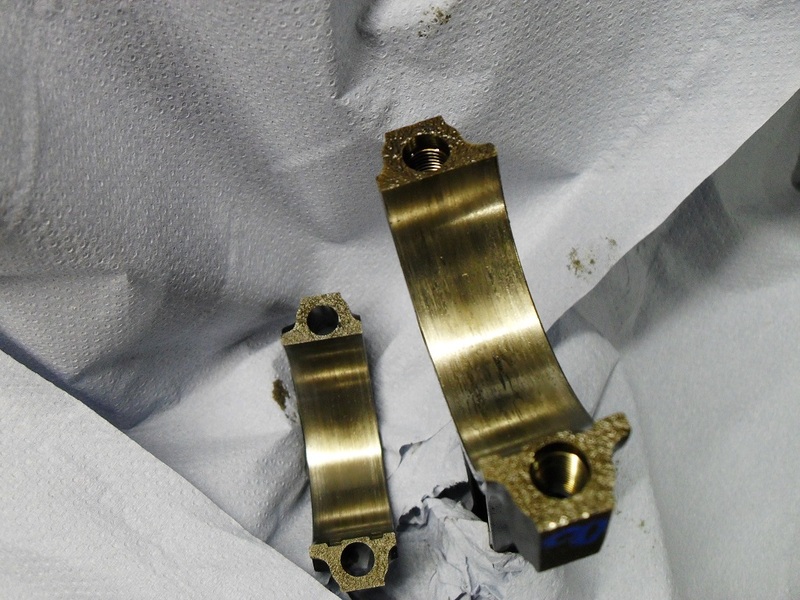 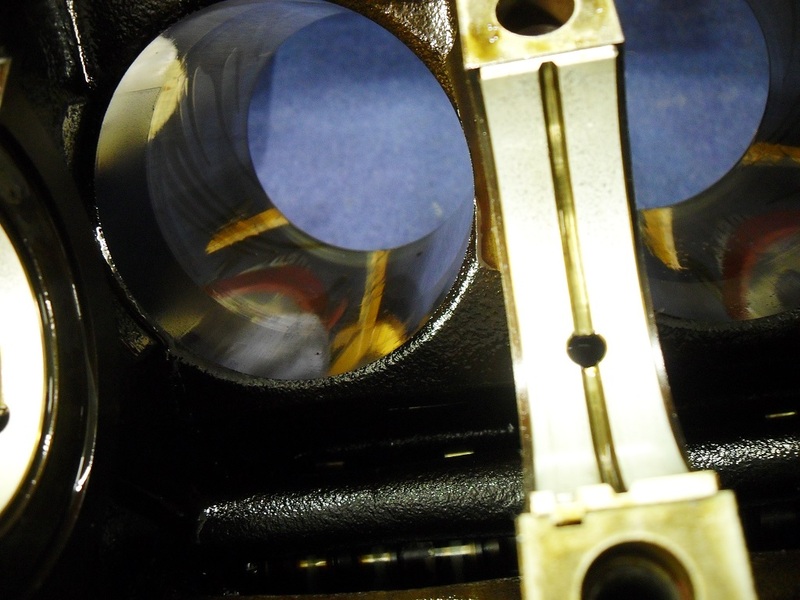 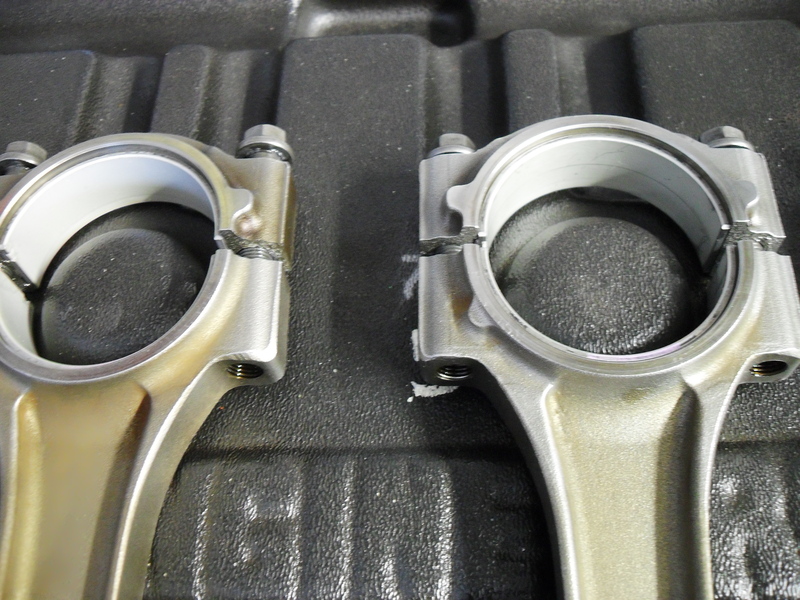 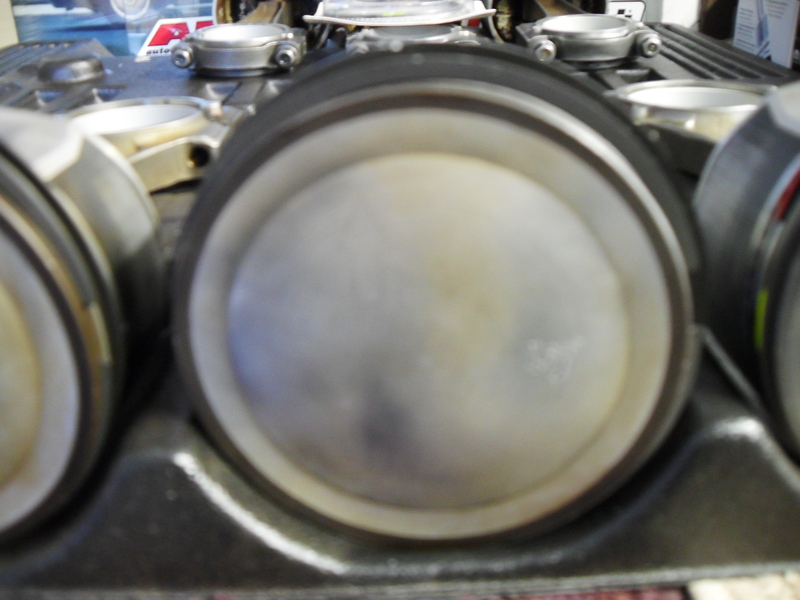 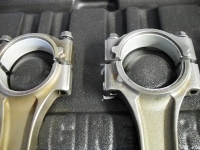 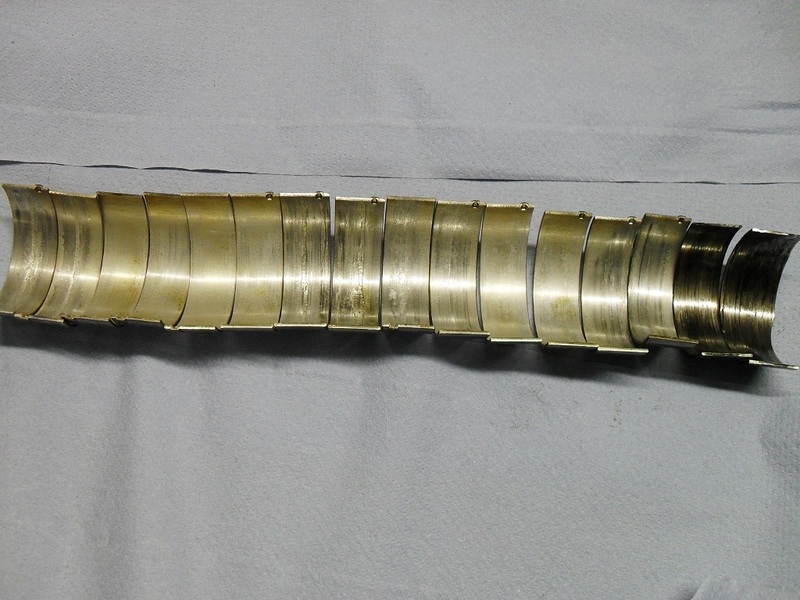 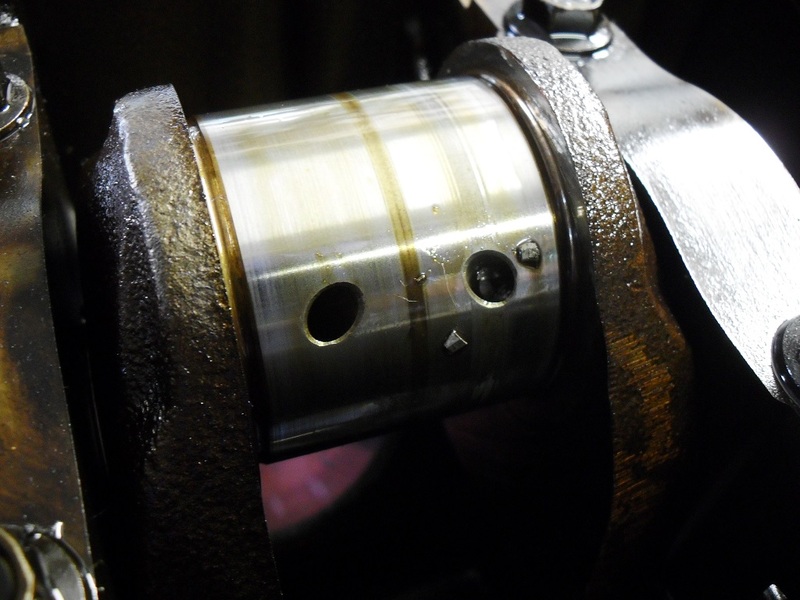 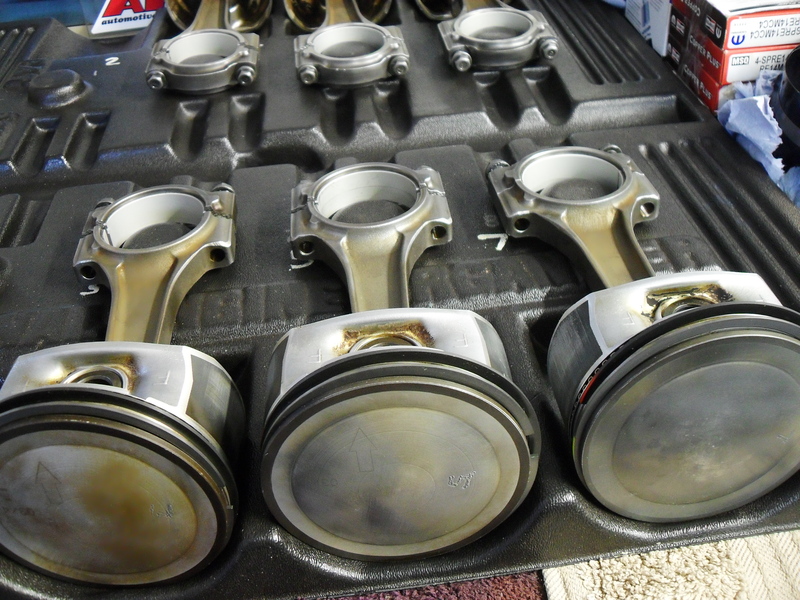 Cylinder bores were left at standard and were finish honed to ensure the new piston rings would bed in correctly. 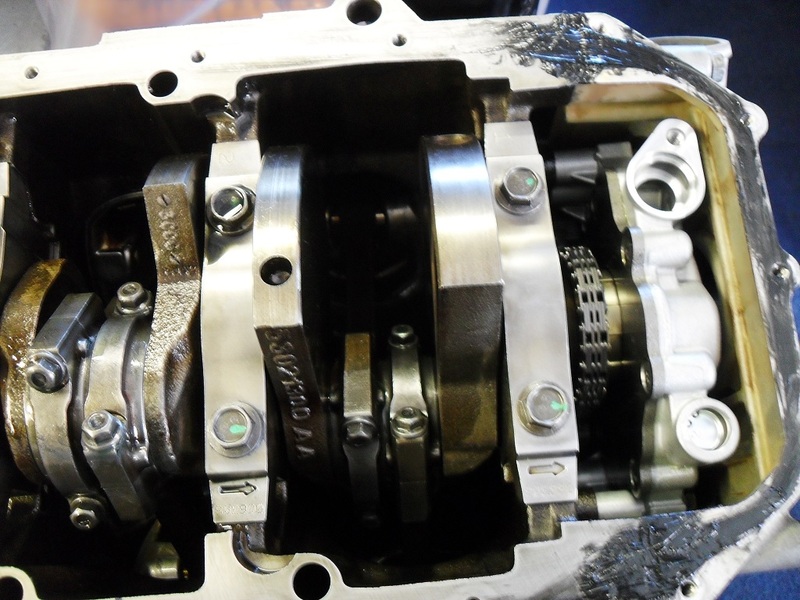 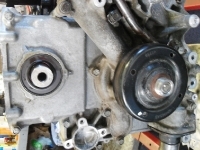 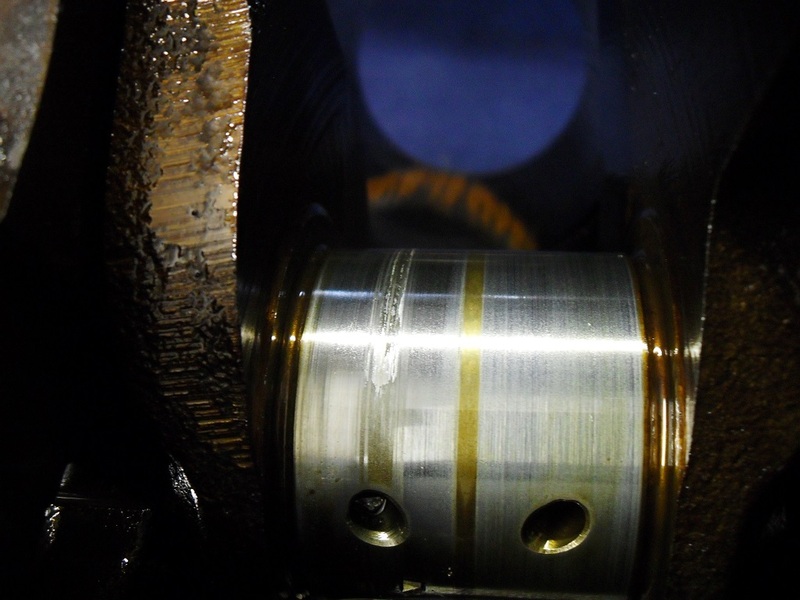 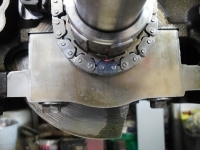 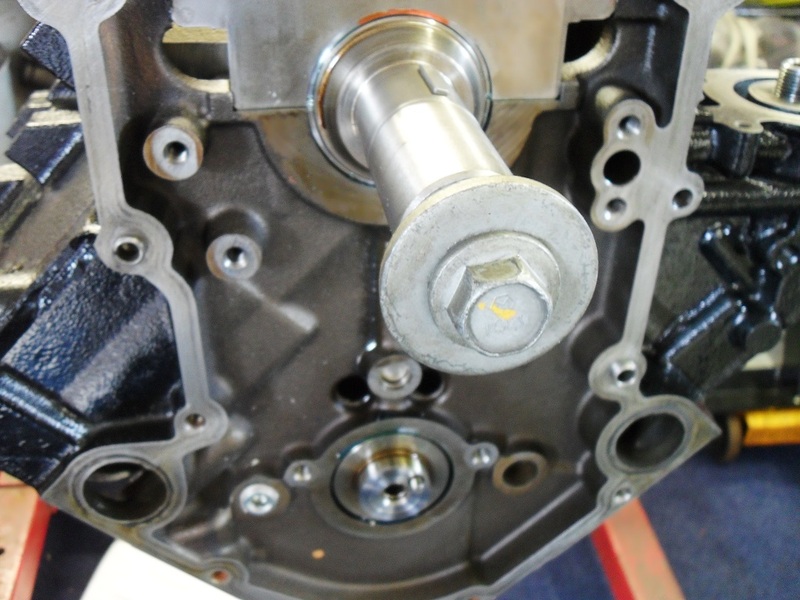 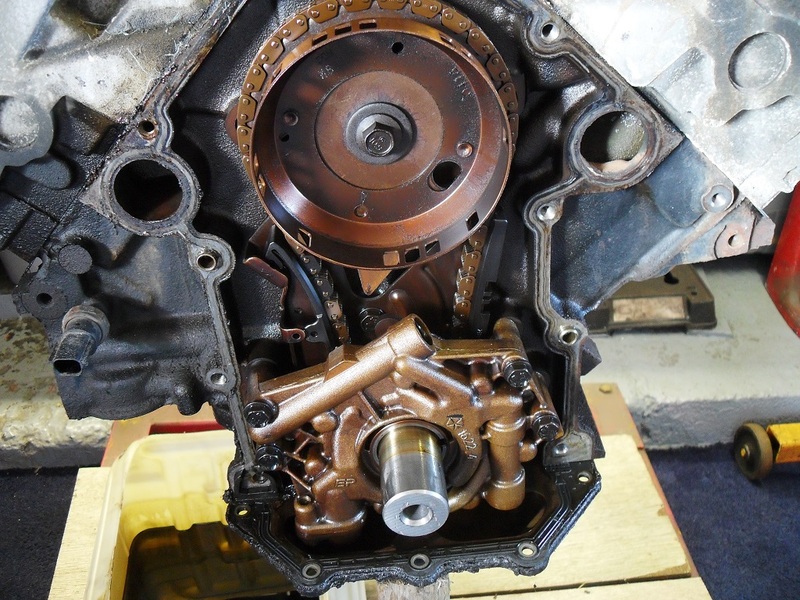 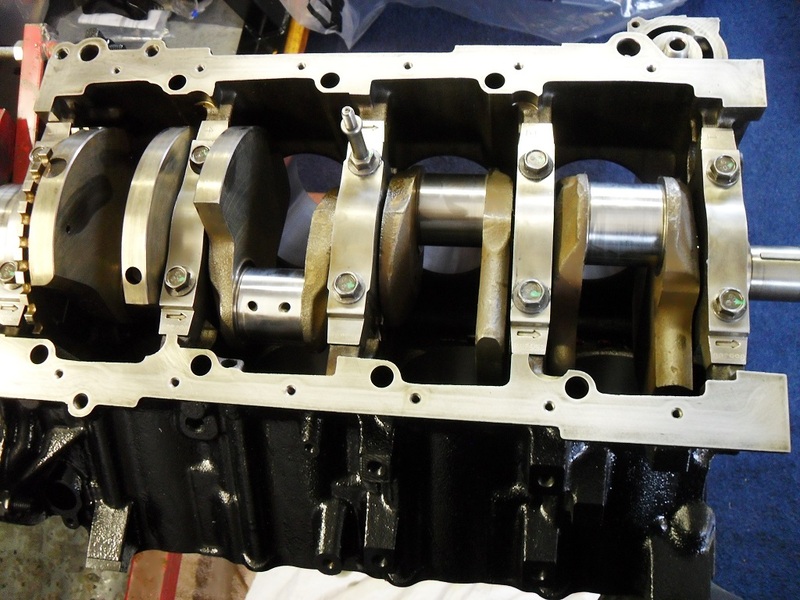 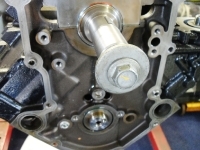 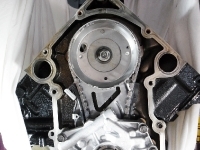 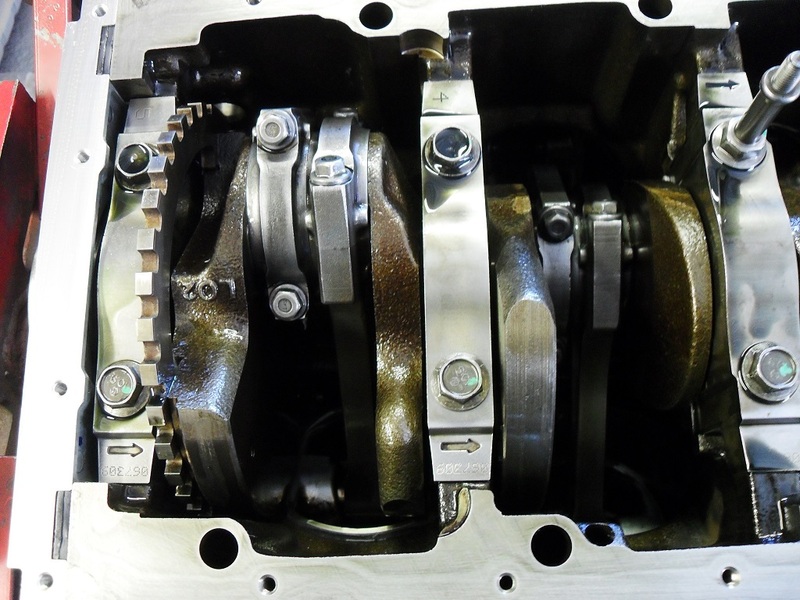 The crank shaft was fitted and checked for main bearing clearance, fore and aft movement and runout. 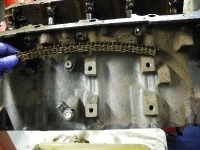 Everything was perfect and very little work was required. 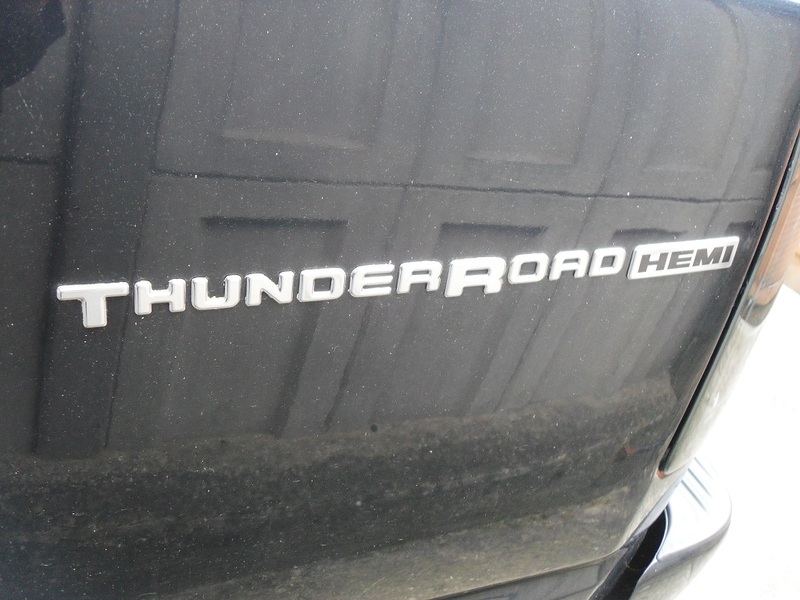 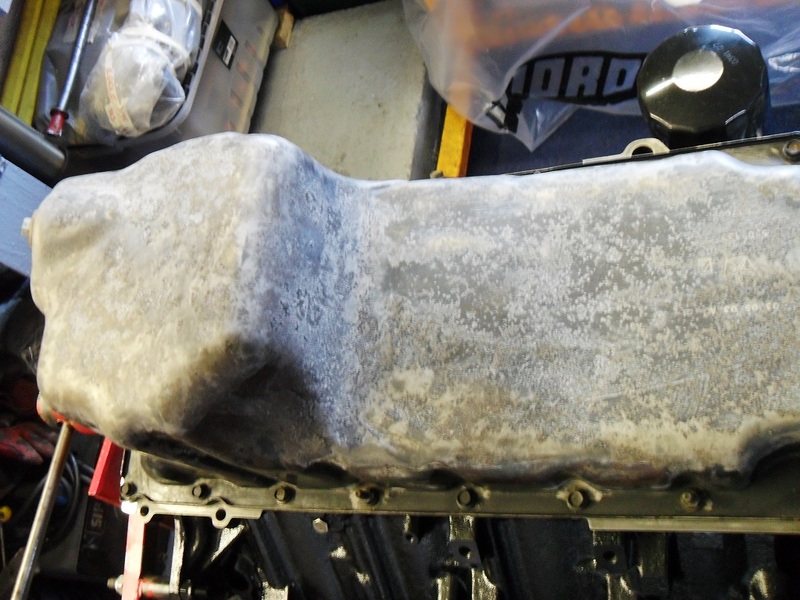 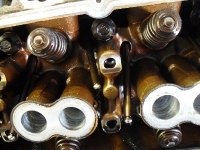 The cylinder head, main and rod bolts are one use only, they cannot be reused, they are designed to stretch and once they have stretched to their design limit they must be replaced. 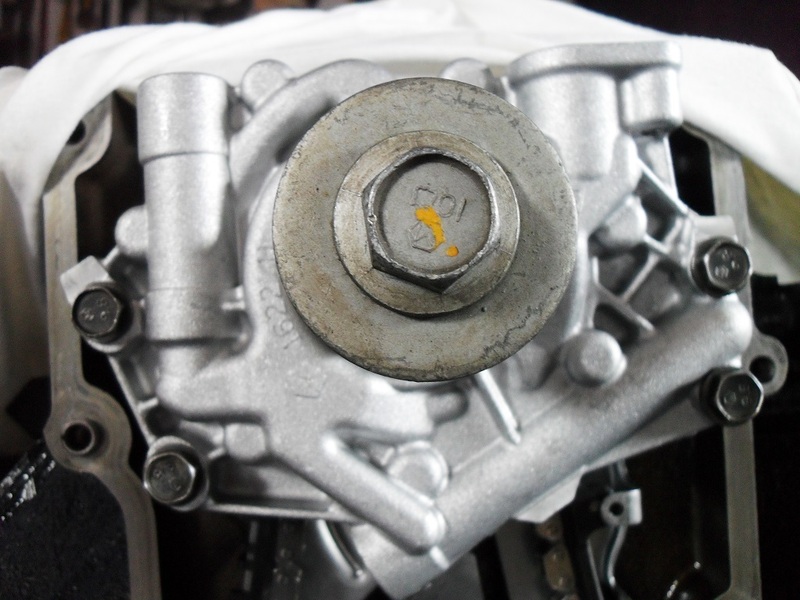 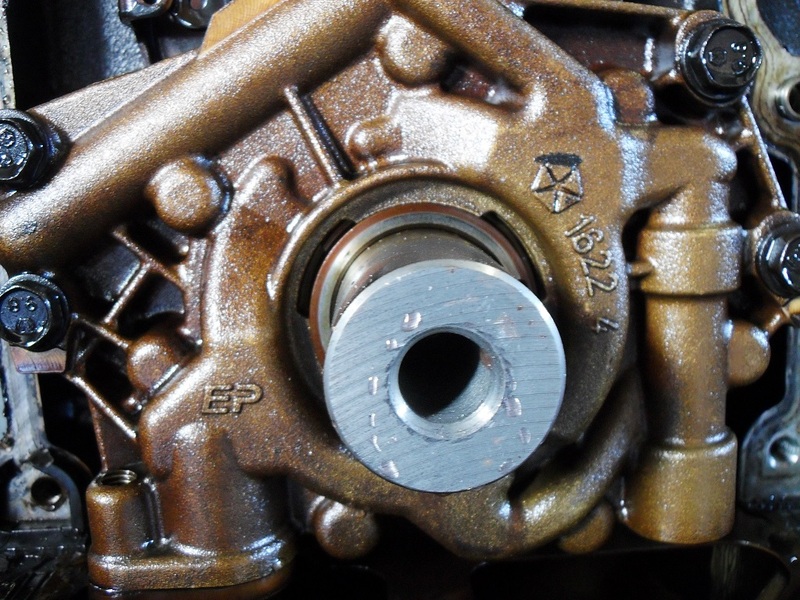 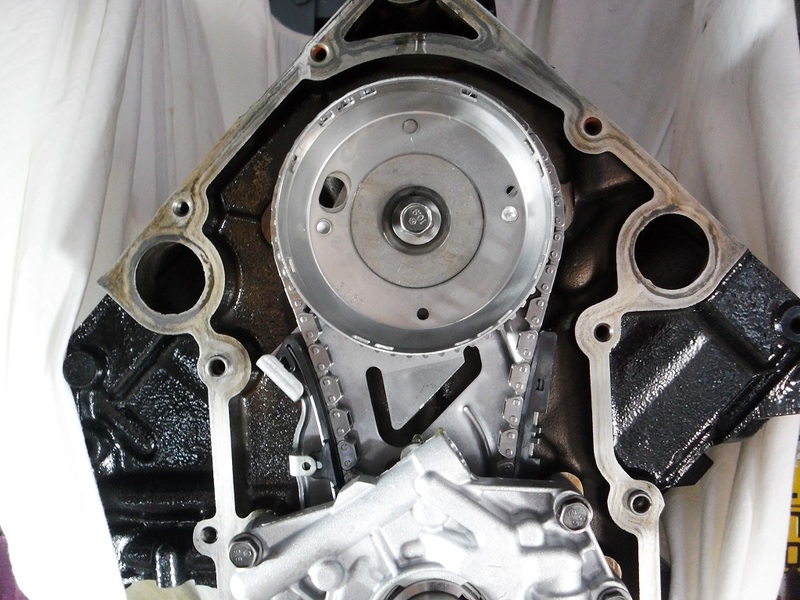 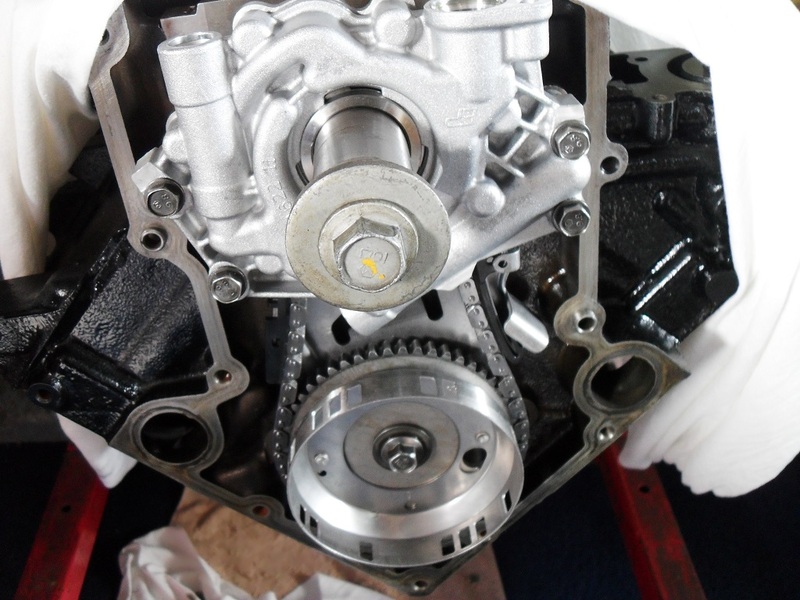 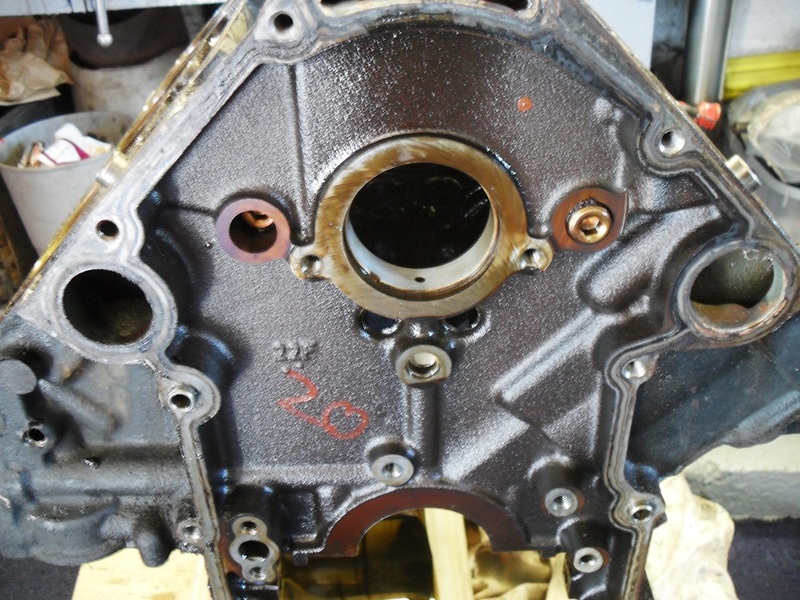 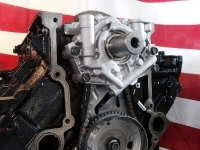 We fitted a new oil pump as a precautionary measure, they do not give much trouble although oil pressure can drop after a while due to wear inside the pump, a modified pump is now available. 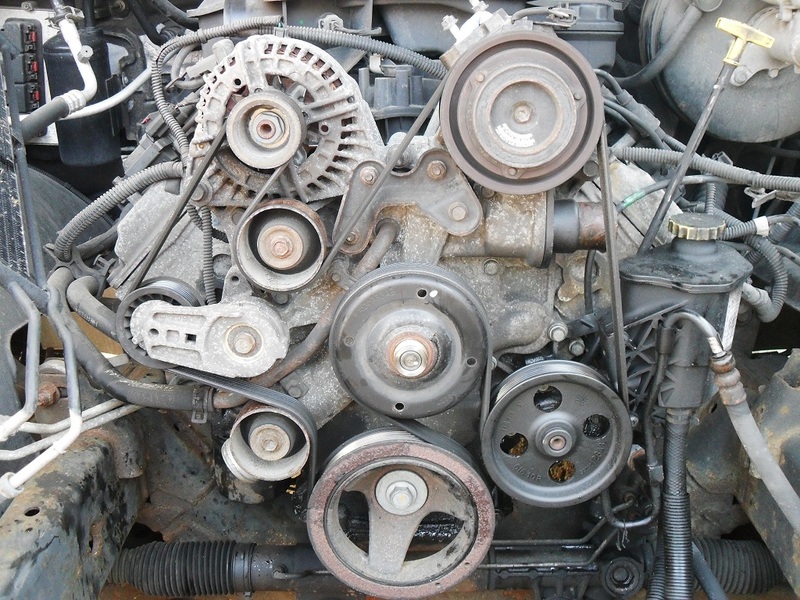 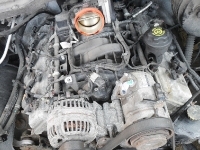 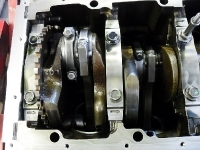 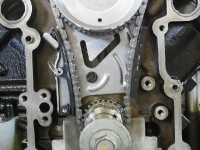 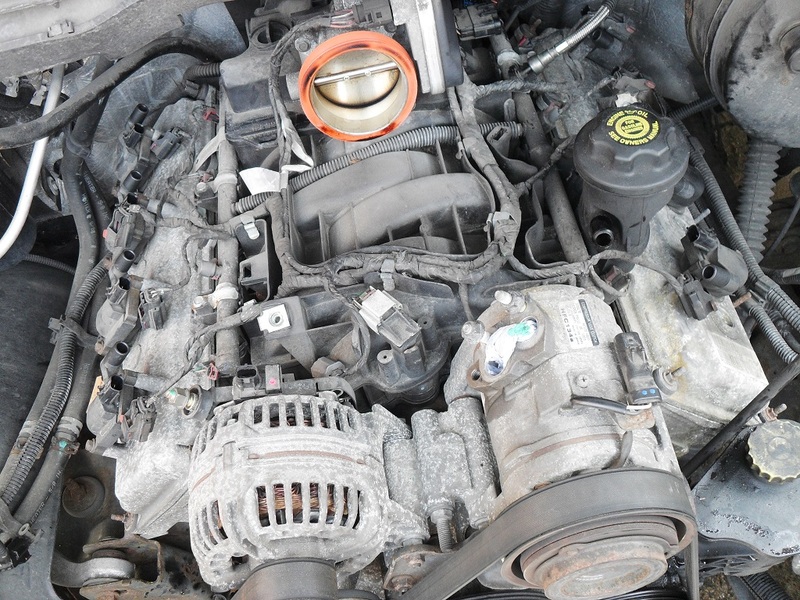 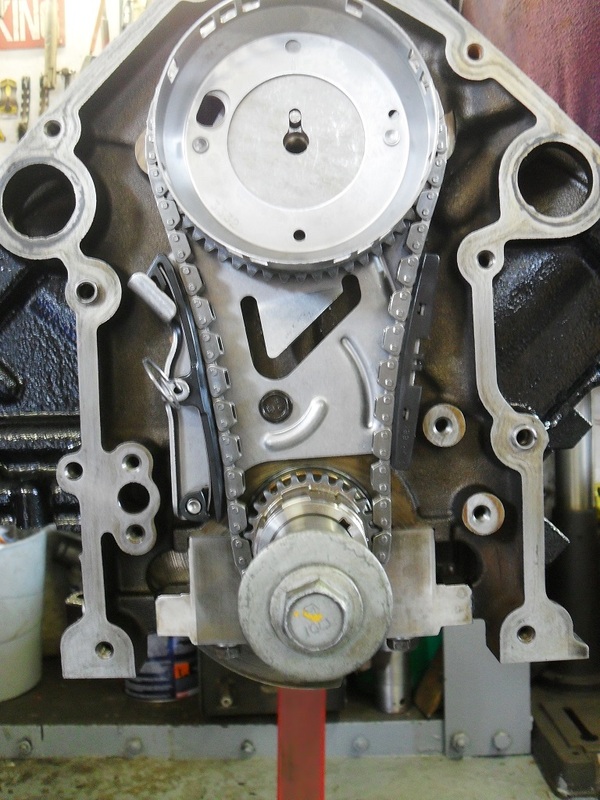 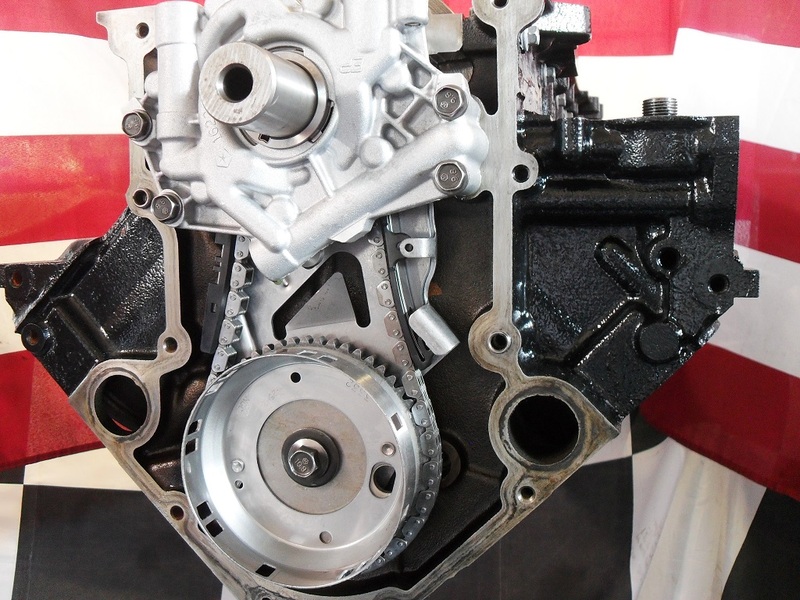 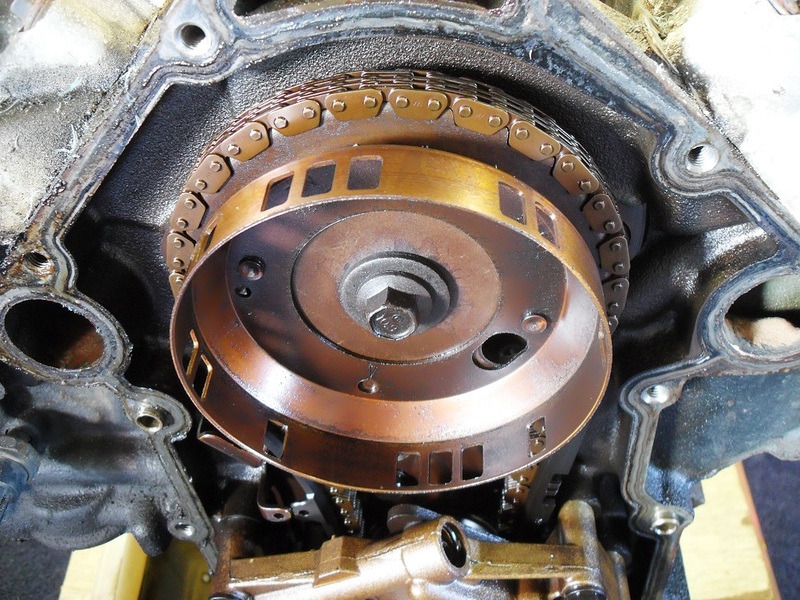 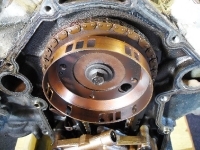 We also fitted a new timing chain set and tensioners, firstly because the chain was stretched but also because the new parts are modified as the originals have a habit of breaking the tensioners, with dire consequences, engine catastrophic failure. 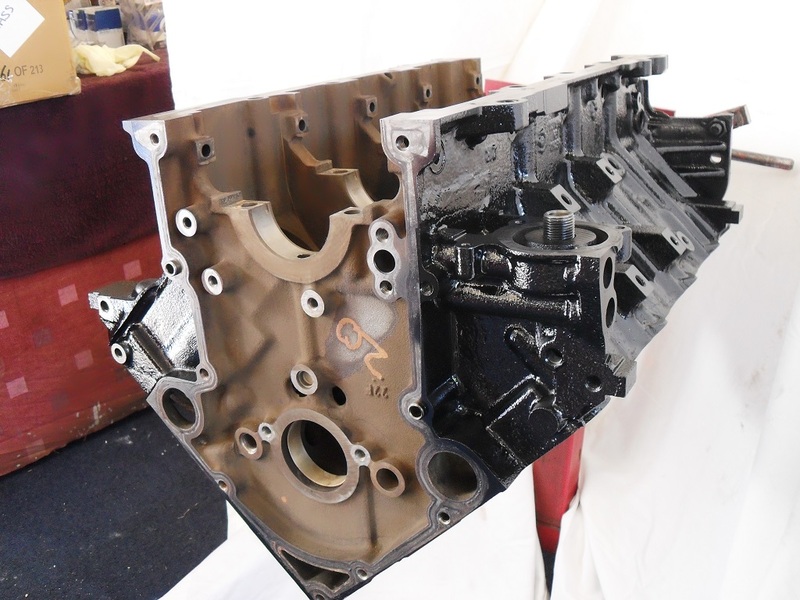 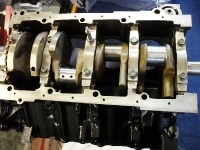 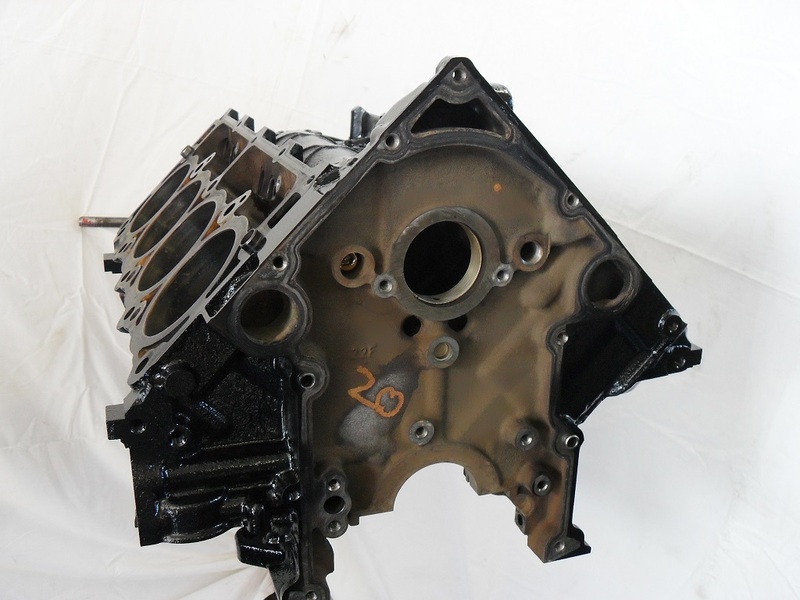 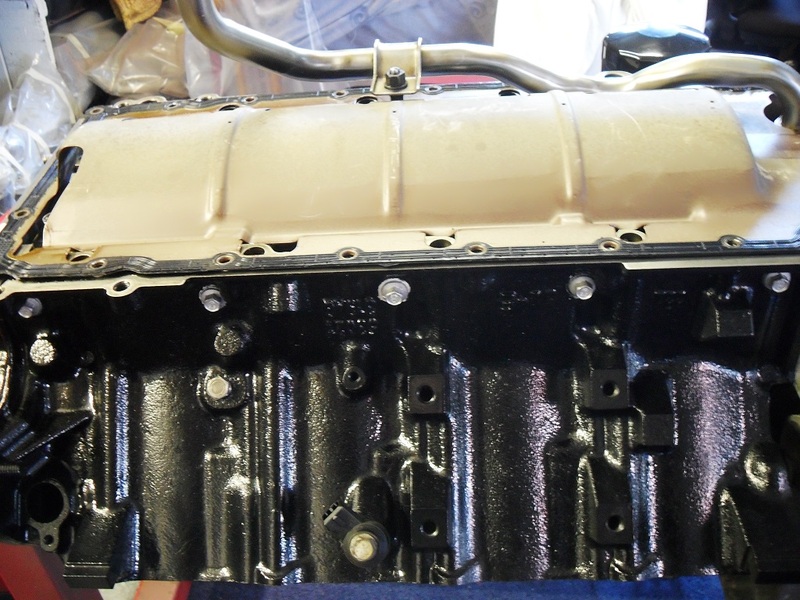 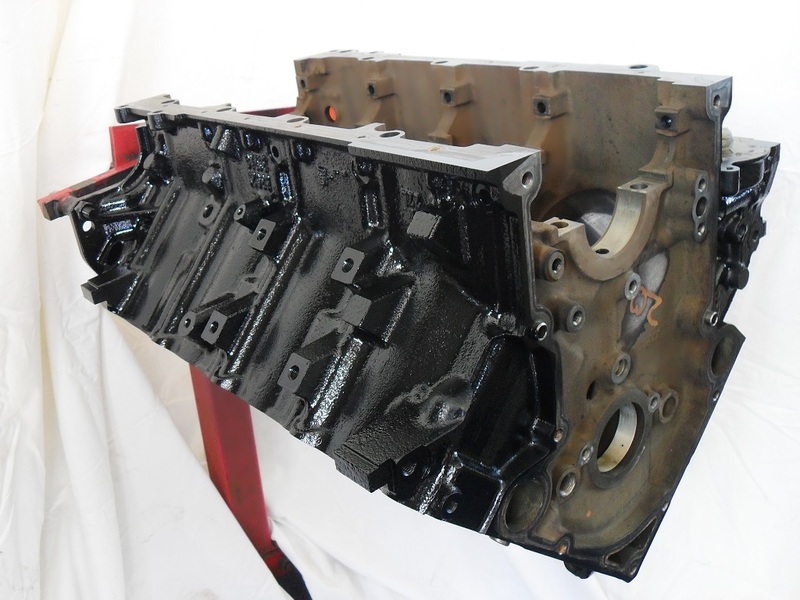 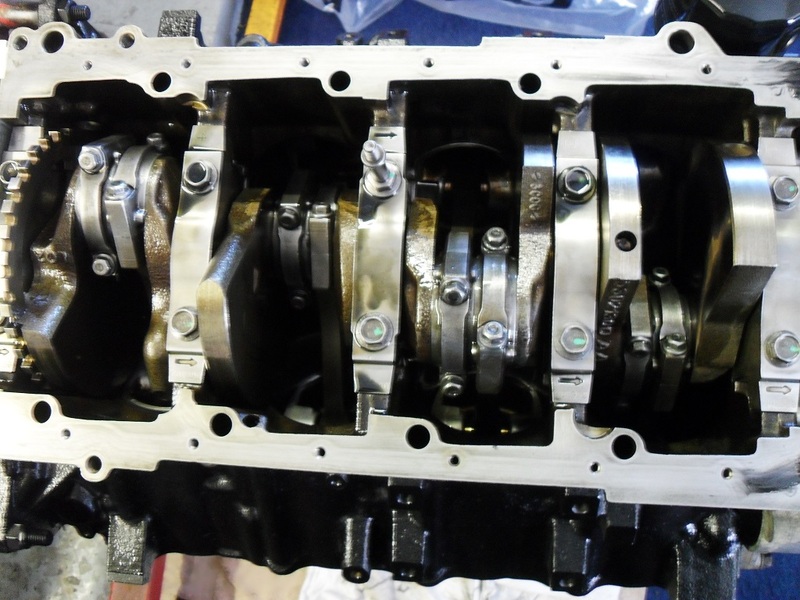 All parts were cleaned and checked before being refitted into the engine block, the camshaft and roller lifters were in perfect condition so were reused, in their original positions. 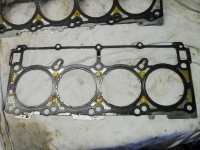 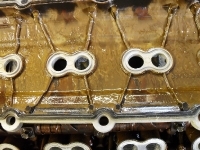 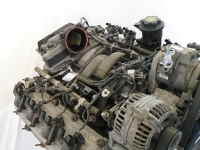 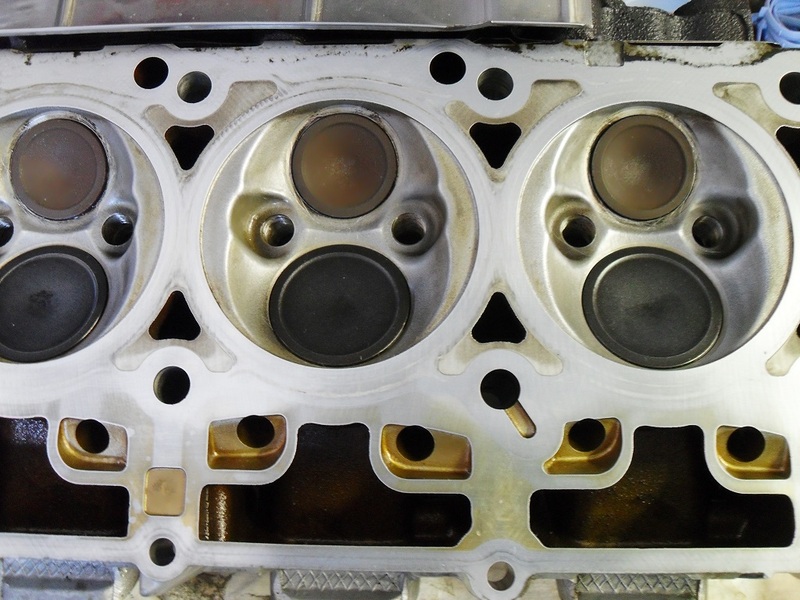 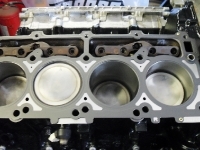 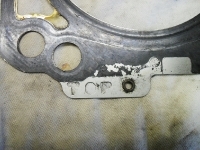 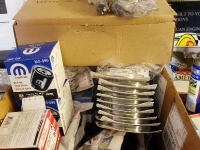 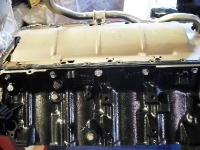 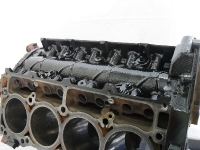 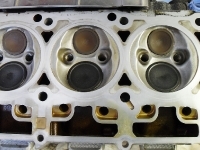 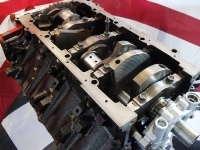 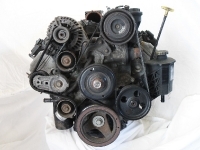 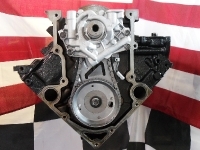 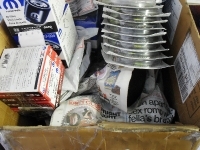 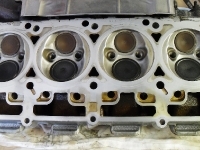 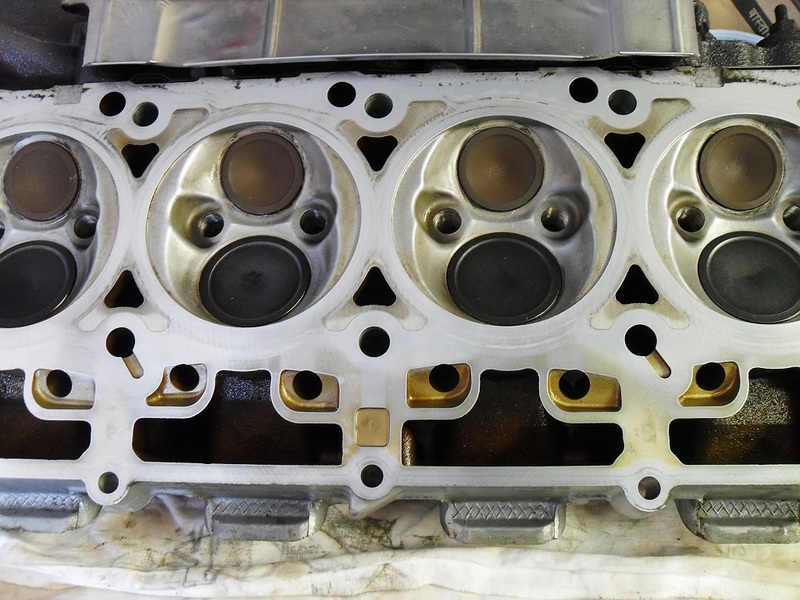 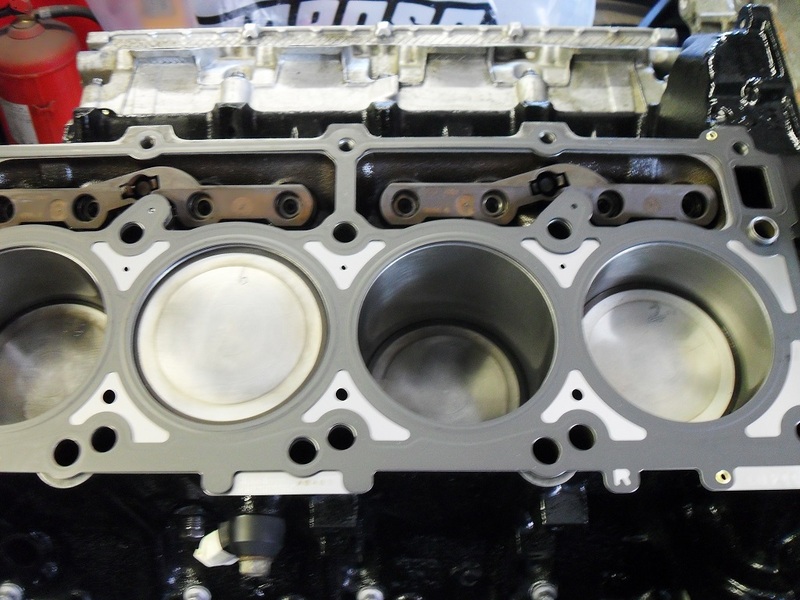 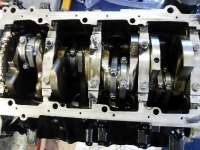 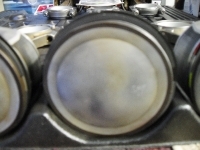 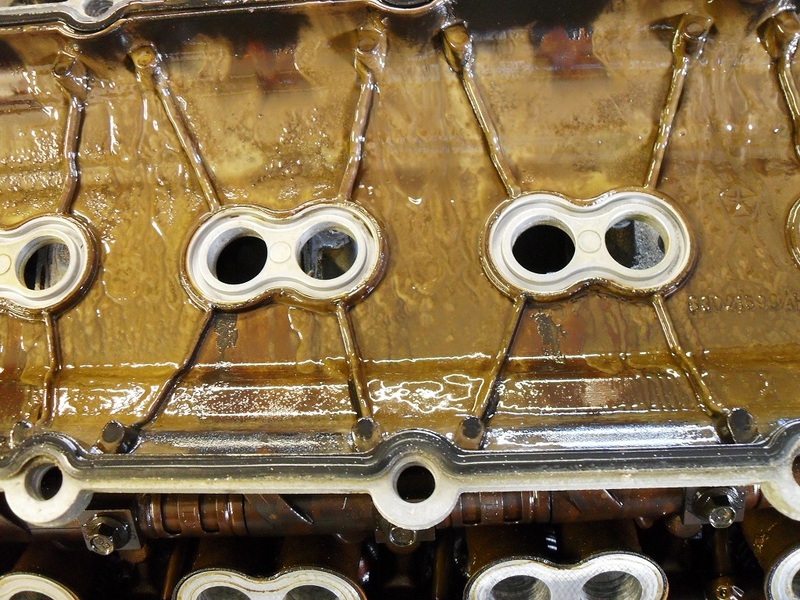 Head gaskets are a multi layer laminate design. 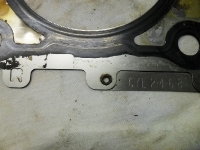 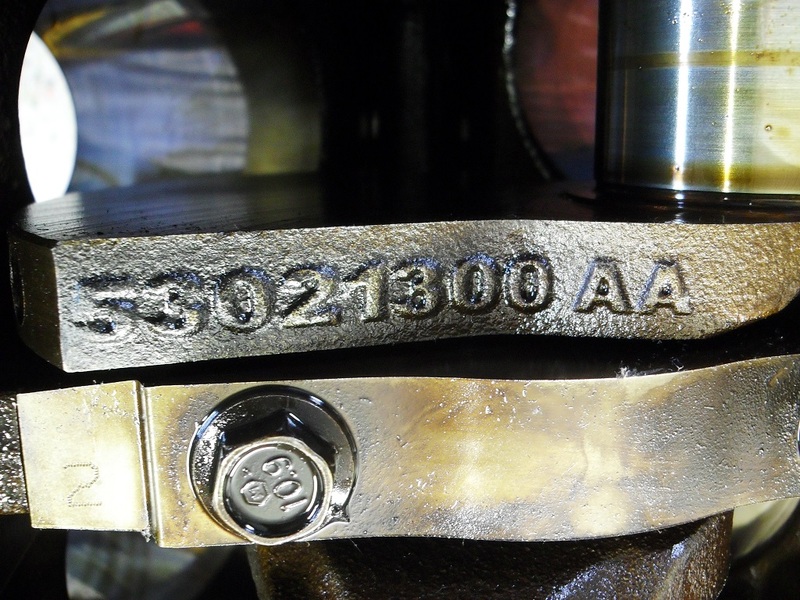 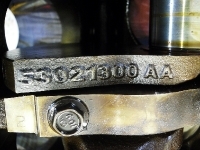 Easy to identify left and right as they are clearly marked and each marked with ‘TOP’ and the cylinder numbers each gasket is for. 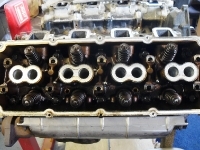 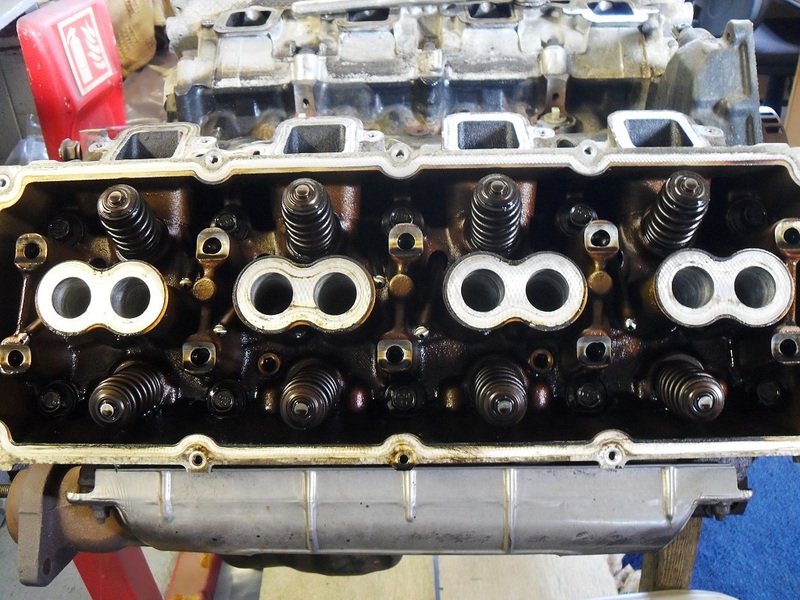 All of the valves were removed from the cylinder heads, valve springs were checked for height and seat pressure, all were within tolerances so the valves were lapped and refitted with new valve stem seals. 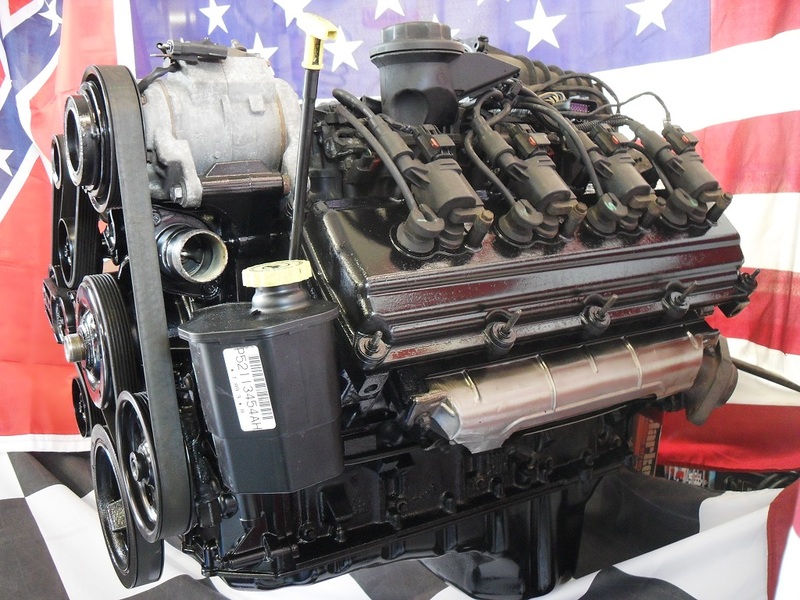 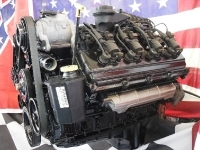 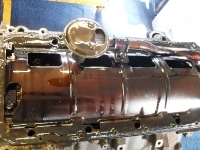 One of the most important things to do after the rebuild is to prime the oil system, this is normally carried out by putting a shaft down to the oil pump drive and whizzing it up with an electric drill to get oil pressure up, this can’t be done on the Hemi as the oil pump is driven by the crankshaft. 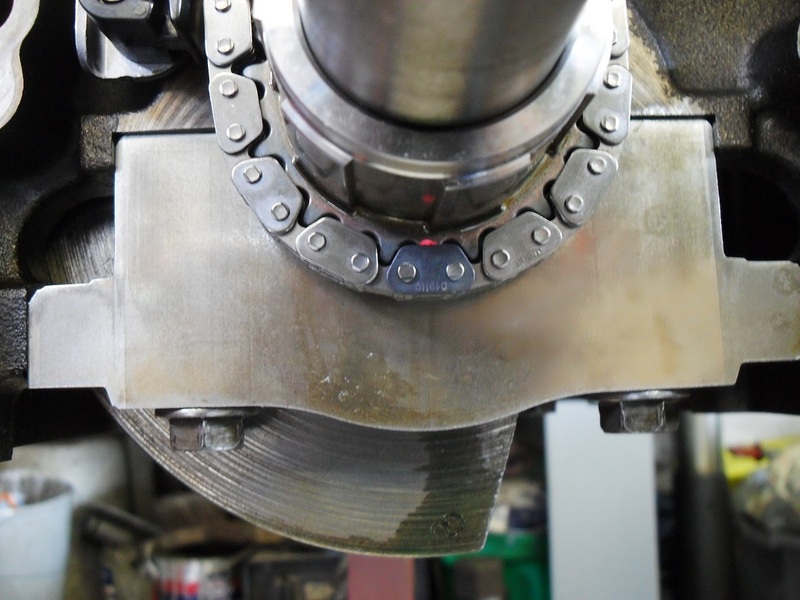 We made up a tool some time ago so that we can pressurize the system and force engine oil into the oil gallery’s using air pressure and a pressure vessel containing the engine oil. 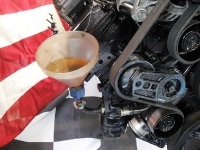 We put oil into the oil pump first using a funnel and hose through an oil gallery threaded hole near the oil filter and finish off with pressure fed oil using both of the rear gallery plug holes. It can be a bit tricky but it’s well worth it. 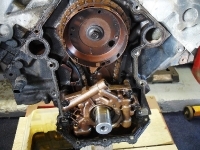 The only alternative would be to spin the engine over with no ignition until oil pressure comes up but spinning the engine with no oil pressure is what we try to avoid.